Holocaust Memorial Day – Special memorial prayers are said. At our home as we say the Motzi two members of the family tear the challah in “tug of war” fashion. 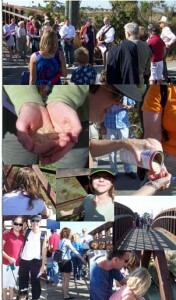 Thus gettting to the best part of the bread – the center – for everyone to taste before the meal. Some people light an additional candle for each child in the family. Once you’ve lit a certain number, it is a custom never to decrease that number. Students away from home should light candles for themselves, as they are no longer within the household of their parents. The Service begins in song. Everyone is encouraged to join in the songs… most of the words are transliterated in the prayer book. A reflection of Creation and time. Day to Night, Month to Year, Season to Season. Revelation of God and of Torah. A prayer we sing about God’s Love and the Law of the Torah. Hear O Israel. The Eternal One is our God, The Eternal God alone! is the simple declaration of God’s monotheistic existence. But it’s meaning transcends the translation as it holds the faith of Jews everywhere in this simple declaration. all your heart. Teach this to your children. Remember it at all times. Put reminders of this all around you. A prayer about Truth and Redemption followed by the declaration of God’s uniqueness. This prayer was sung by the Israelites after the miracle at the Red Sea when they were free from slavery. Ask for God’s protection as we go to sleep each night. Reminder that the Shabbat is an important link between the people of Israel and God. the service contains universal & personal formulaic prayers answering questions such as “Who am I? 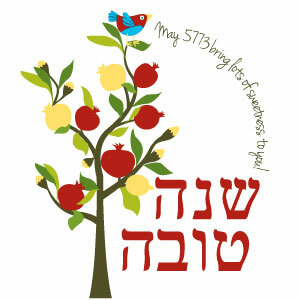 AVOT & IMAHOT Remember all our ancestors: Abraham, Isaac, Jacob, Sarah, Rebecca, Leah, and Rachel… and all who followed. We continue their mission to bring good to the world. G’VROT Confirms the mightiness of God. KEDUSHAT HA SHEM To praise God for the holiness of the Sabbath. AVODAH To ask that our service and prayers be acceptable. MODIM A prayer of thanks. SHALOM A prayer for peace throughout the world. Is about hope for the future and Tikun Olam, repairing the world. It is also a short review of the service. gift of these people’s lives. Take a moment to remember people who you knew who have died. We ask for a personal peace together with peace for our community. It is customary that immediately following the service, everyone joins for an Oneg Shabbat, to celebrate as a community. It goes back many centuries but the early writings about it is from the 14th century in Germany – many rabbis tried to do away with the tradition but it is still popular today and very symbolic. 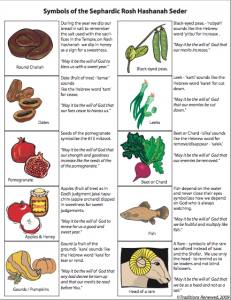 These are the symbols that you find in many communities to represent Rosh Hashanah. Round Challah, Dates, Pomegranate, Apples & Honey, Gourds or Pumpkins, Black Eye Peas, Leeks, Beets or Chard, Fish, Head of a Ram! For a good sweet year! The Day of Atonement – Fast day, many special prayers, including Kol Nidre, N’eela, and Memorial (Yizkor) services. Eve of Yom Kippur – Light Yahrzeit Candle, in memory of loved ones who have died. • Traditional to wear white . • We do not wear leather on Yom Kippur because it is necessary to kill an animal to make leather shoes or garments and this is why we refrain from wearing leather on this holiday. Many rabbis will wear white sneakers on the bimah on Yom Kippur – and congregants have adopted this as a tradition also in many places. (Besides they are comfortable.) But some say it is just the oposite: That in ancient times it was the leather shoes that were comfortable and it is good not to be so comfortable on Yom Kippur because you must stay aware of yourself and reflective on all things that day. • Traditional to break the Yom Kippur fast first with challah followed by a light meal. There is a point in the service during the Birkat Cohanim (the preistly blessing) when the entire family comes together wrapped in a single talit – This comes from an orthodox tradition but is quite nice for any Jewish family to come together wrapped in a tallit to reflect on the New Year and the begining of the Days of Awe. The Jewish New Year Day of Judgment for the entire world. 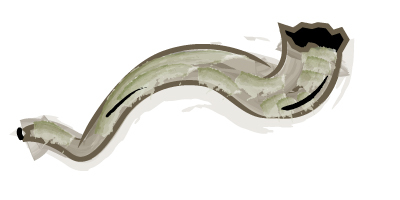 Extended, special synagogue services and blowing of the ram’s horn – Shofar. Start of Ten Days of Repentance. Many differerent traditions on Rosh Hashana – dip apples in honey, eat sweet foods, study Torah and Midrash to learn something new. For women, I suggest reading Begining Anew by Gail Twersky Reimer and Judith Kates that has some terrific essays that pertain to the holidays. Eat pomegranates traditional Rosh Hashana fruits with 613 seeds symbolizing the 613 mitzvot, fertility and the new harvest have long been used in Middle Eastern folk medicine. Right after Yom Kippur we start building our Sukkah! Sukkoth begins on the 15th day of the Hebrew month of Tishri, which is 5 days after Yom Kippur. Together these items make up the Etrog and Lulav, which are important ingredients in the celebration of Sukkot in the synagogue . Turn the etrog so the pittam faces up, and keeping your hands close together so the lulav and etrog are touching, wave them in six directions: east, south, west, north, above, and below. A warning: a broken pittam, renders the etrog passul, unkosher for use. 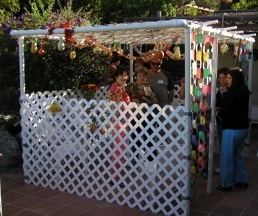 Ushpizin, “inviting guests” into our sukkot. On Sukkot, we focus not on all of the things that we have, but on the people that are important to us and help us become better people. So we invite our friends and even strangers to visit in our Sukkah. DON’T GLUE ANYTHING FIRST! Assemble the top frame first on the ground (down side down), glue as specified, then lift to insert legs. Assembled lattice with duct tape or twine. It’s like a giant jigsaw puzzle, the kids will love to help build and play with it. All pipes and fittings (except the 1-1/2” top cross members) are 2” PVC pipe that can be purchased at Home Depot or Lowe’s or equivalent. I tried to make the frame fit the 4’ x 8’ PVC lattice sheets (used in gardening or house trim). Cutting 1-1/2” pipe is difficult to get square by hand, try using a miter box or a PVC pipe cutter. Use a power circular saw (risky with kids around) as a last resort. Use a knife to trim flashing off each cut. Start assembly on a flat surface like a patio or driveway. Cut 6 ea. legs to 6’-8” from 2” x 10 ft. pipes. Use 3 ea. of the left-over 3’-4” pieces to make the front roof member. I cut them down to 2 ea 30” pieces and 1 ea 36” piece in the middle. Assemble with 2 ea TEEs and measure the total length. Cut a matching single length of pipe for the rear roof member (mine was 102” or 8’-6”). Cut 2 ea side members 90-1/2” (or 7’-6-1/2”). When assembled with elbows (90ELs) the side width totals 8’. This matches a single piece of lattice. Cut 4 ea 3” short pieces of pipe (out of scrap) for connectors and assemble the entire top frame, DON’T GLUE IT YET. Each corner comprises of an 90EL and TEE with a connector. When you get everything aligned and the TEEs pointed down, glue the corner TEEs to the 90Els (pull each joint apart, apply glue, then reassemble quickly and align immediately – the glue sets fast). Then glue these to the side members ONLY (if makes it easy to store yet the corners won’t fall apart). Glue the front member together with 2 ea ‘TEEs’ (make sure the point down) and 3 pieces cut in step 3. Do not glue to the end pieces if you want to disassemble and store easily. You now have two side assemblies, a front assembly, a rear member, and six legs. I use duct tape to secure the front and rear members to the ends, but you could use screws also. Lift the top frame and a insert the legs. The weight of the top frame will hold the legs in place. Optional: use buckets or cans and cement the legs in place. Place 3 ea 1-1/2” cross members on top and secure with duct tape. Decorate with palm frawns. Secure a 4’ x 8’ lattice to each side with duct tape or cable ties. Cut 3’-6” off 2 ea lattice sheets for the front panels. The remaining 2 ea lattice sheets 4’-6” long form the back side when overlapped and taped together to fit. PVC cement (clear, NOT purple). Applicator is part of cap. Duct tape and/or cable ties. Flower Pots filled with sand for stabilizing the corners. Saw or PVC pipe cutter for 2” PVC pipe. knife to trim flashing and cut duct tape.